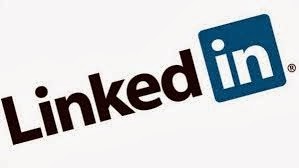 There is social networking website for people in professional occupations that's called as LinkedIn, its having 20 million viewers as of June 2013. Creating a LinkedIn account is easy enough but if you want to know how to build a LinkedIn profile that will reach your target market is bit difficult. Because LinkedIn is not like Facebook or Twitter. These tips and guides in this article helps you to reach your target market. The success of LinkedIn profile starts with a powerful and professional presence, you need to write your profile with your ideal client in mind before starting connecting to online community, the reason behind this is, if your first impression in online goes wrong, especially in LinkedIn you can't gain back. I've pointed some key points that I believe important to optimize your LinkedIn profile. 1> Professional Photo - Take a good professional picture taken by a photographer or find professional picture that having great head shot. 4>Contact Info - Provide all necessary contact details, remember in LinkedIn everyone those who are connected with you doesn't like to message, when they find your profile it's good to give multiple option to contact you. as I have given provide email address that is advisable. 5>Website name - On my profile I didn't put my website name, instead I used a attractive word plus keyword that people search for in my profession. 6>Profile URL - Remember when customizing LinkedIn profile aim to have your name without anything else. If you have more common name (Kannan, Shankar, Silva) then you might need to resort to a slight modification.